"Provide the People of the United States of America, as national security and economic interests demand, with the necessary infrastructure, entrepreneurial partnerships, and human and robotic operational capability to settle the Moon, utilize lunar resources, scientifically explore and settle Mars and other deep space destinations, and, if necessary, divert significant Earth-impacting objects." I admit that this ambitious charter does look appealing at first glance. Note there is no mention of the International Space Station or low-earth orbit operations. Dr. Schmitt proposes de-orbiting the ISS in 10-15 years and establishing the NASA to NSEA transition at that time. I had the good fortune of meeting the conservative geologist-astronaut twice last year at the LunarGeo2010 and Earth & Space 2010 conferences. Dr. Schmitt is very approachable, and he is not shy about sharing his opinions on issues ranging from climate change to resource utilization. The moonwalker spent 22 hours working on the lunar surface during NASA's Apollo 17 mission. He then served as US senator for his home state of New Mexico and spent the past few decades as a professor and space resource utilization advocate. He currently serves as the Secretary of the New Mexico Department of Energy, Minerals, and Natural Resources too. 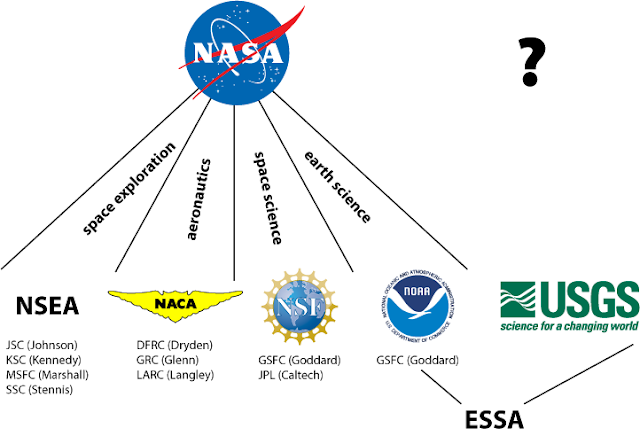 There is certainly a lot of overlap among NASA and other science agencies. Dr. Schmitt's NSEA proposal reminds me of a 2008 proposal published in Science by a number of highly respected former agency administrators to merge the USGS, NOAA, and NASA's earth science activities into the Earth Systems Science Agency (ESSA). Such dramatic reorganization of government agencies is rare and brings a lot of practical difficulties, not the least of which is great political resistance by those entrenched with the status quo. As far as I can tell, there has been no serious movement towards establishing the ESSA despite the very pro-science Obama administration, so I am skeptical that breaking up NASA to create the NSEA and NACA will ever happen. Even if such a major reorganization of government science agencies were to happen, I'm not so sure abandoning the NASA name is a good idea. After all, the NASA brand is one of the world's most recognizable and universally known. So, if we do carve up NASA, I would suggest that what is left behind (NSEA) should stay "NASA." The graphic below is my attempt at visually depicting Dr. Schmitt's proposal, including how he suggested the NASA centers should be divided in their new agency homes. Infographic combining Schmitt's NSEA idea and the 2008 ESSA proposal. Used for illustration purposes only. Interestingly, while NSEA would likely re-hire many people from NASA, Schmitt asserted it should maintain an average age of less than 30 in its workforce. The average age of NASA employees during the Apollo era was 28, but today it is 47. I don't think a government agency can discriminate based on age, but his point is that younger workers tend to have higher "imagination, motivation, stamina, and courage." SpaceX and Scaled Composites are famous for hiring young engineers for this very reason, which might help explain their success. 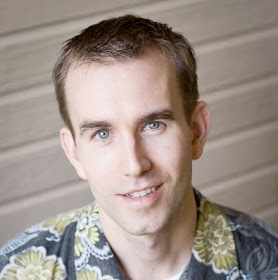 To learn more, surf over SPACE.com for an interview with Dr. Schmitt on the NSEA. What do you think about his idea? Would it work? Of the forward thinkers and the backward thinkers, I think the most obvious solution to creating a momentum in favour of all scientific advancement would be to build an anti gravity platform with light differential particle physics as the main research magnetism base foundation.